No absurdist black comedy here, no self-referential meta-games, no antitheistic polemics. This is actually a sincere post, summarising what I’ve really been thinking about for five years and what I want to work on for at least the next five. In 2014 a lot of people watched the new Cosmos TV series. There would have been many moments, especially at each episode’s emotional climax, when viewers would have experienced an overwhelming sense of awe. As Neil de Grasse Tyson explained some gargantuan feature of the universe, or provided some allusion to the relatedness of all life on Earth, or perhaps when he demonstrated our smallness with reference to the unimaginable timescales of geology or stellar evolution — at such times viewers will have had their hair stand on end or may even have cried. Whatever word you prefer I’m confident that it’s not angling at anything supernatural or mystical. Instead it’s merely a recognition that people have intense emotional responses when they’re swamped by the vastness of the world. When this comes via art (stirring music, paintings of mammoth landscapes, epic poetry, filmic climaxes) it’s no big mystery. People expect to be overwhelmed by these feelings when they engage with their favourite aesthetic experiences and it’s a very important part of most people’s lives. Why do we seek out these experiences? Well that’s the central question in the history of art and aesthetics. What I’m onto is why people are reluctant or suspicious to obtain these experiences from science. In fact I go further and suggest that these experiences are more available in the natural world than in human-produced artworks. Compare, for example, the various creation myths from the world’s religions. The cosmogony from Genesis is easily called to mind and it’s certainly a poetic story. But compared to the story provided by modern cosmology it’s obviously inferior. I think the comparatively scanty narrative of God speaking certain parts of the world into existence and then resting for a day is by several orders of magnitude less impressive than the story of the Big Bang, followed by expansion, accretion, generations of stars and the complex narrative of how matter, energy, gravity, time and other variables interacted to produce the incomprehensibly large and fascinating universe. The Genesis story is also a lesser literary work. I think that any good narrative of the birth of the universe (to be found in the best pop science books, for example) is a better work of literature than the written versions of creation myths. In terms of plot, story elements, novelty, effect on the reader, detail, profundity, imagery, etc. the story of what actually happened as determined by gathering evidence is a better work of art. I say this as a lover of the arts. As a lover of literature and the arts I’m generally useless, of course, but I have also worked as a science communicator and so I at least know a bit about the stories that science has to offer. I can’t contribute anything to ongoing scientific understanding of the world, but I feel I can at least offer some ideas about reading, comparative literature, aesthetics and what makes a good story. In these respects, the natural world as we see it with our eyes has often been viewed as an aesthetic object (as in a lot of poetry and art from the Romantic epoch), or indeed the very basis of our aesthetic tastes (Alexander Pope, Denis Dutton), but I think that the new view of nature provided by 20th century science, a view that goes beyond what we can see with unaided senses, is stranger, more beautiful, more creative and in fact more sublime that anything previously imagined; this is in large part, I feel, because no one could have imagined these things. Apprised of the character of reality as revealed by telescopes, spectroscopes, microscopes and other scientific instruments, who could fail to be awed by quantum physics, black holes, DNA, the world inside a cell, or the intricacies of the human brain? With the knowledge that everything around us is mainly empty space, that solid objects are a fuzz of electrons reflecting certain wavelengths of light; that we share ancestors with all plants and animals; that our planet is an orb floating in space in the hinterland of an insignificant galaxy — with this knowledge we have to admit that it’s more unusual than anything imagined even by our most loved artists. And I do love our artists. My whole adult life has been mainly dedicated to reading poetry and literature, watching films, listening to music and studying the humanities at university. But even I have to admit that no one could have come up with quantum physics. Why is this so? I expect it’s because we evolved to comprehend the world at our scale of interaction with it and that imagining something like quantum physics (or even understanding it — I don’t) was impossible until empirical evidence from new instruments forced us to develop the exotic theory. I also go even further than this aesthetic claim. I think that the standard yearning that people feel for something beyond themselves, the yearning that is usually and partially gratified by religion or ideology, can instead be partially, but with more integrity, sated by an appreciation of humanity’s place in the web of life on Earth, of the knowledge of the Earth’s place in the history of the universe and of the remarkable rise of civilisation which instantiated our access to this knowledge. This circularity of facts is much more impressive — and infinitely more real — than the meaning proffered by religion, political ideologies, the New Age, materialism, having children, or professional success. Am I quixotically advocating a new philosophy, a total worldview, an answer to humanity’s search for meaning? Christ no — well, maybe. I note that someone as lucid as E O Wilson recently published The Meaning of Human Existence, in which he threw caution to the wind and decided, late in life, to write something with so grandiose a title. I recommend reading the book but in it he actually restrains himself and doesn’t really ram home the point that an appreciation of the facts of modern science provides an answer to what our place is in the world. I hope this doesn’t sound like some New Age guff or some mid-twentieth century pseudo-psychological attempt at explaining the meaning of life (cf. Becker, Frankl, Rank, etc.) and I don’t want to advocate it as a source of happiness or contentment. This is an aesthetic argument. I think that, as far as we can judge anything, we can judge the wonders of the the cosmos and the contingency of humanity’s place in it as profounder than anything else from myth, philosophy, culture, or art. Weirdly, I don’t think many people have made this argument properly. 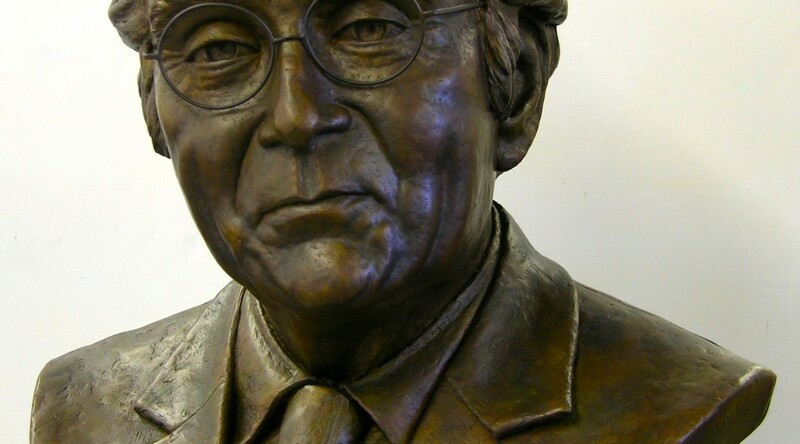 Jacob Bronowski (pictured, slightly weirdly) made some very subtle arguments about how art and science are equivalent, imaginative enterprises. Carl Sagan advocated a view that our place in the cosmos was what we need to explore and celebrate. Some popular science writers, like Jon Turney, have flirted with the idea of treating recent scientific ideas as sublime or as objet d’art. Some scientists have tried to bridge this divide as part of a wider project of joining the humanities with the natural sciences, in response to CP Snow’s idea of two cultures. But very little has come the other way; few philosophers, critics, or artists have engaged with the knowledge given us by the science of the last 100 years. There are many fantastic exceptions in visual arts, I admit, but sadly few have attracted wide attention and aesthetes have generally treated science as either boring, didactic, sterile, something that will “unweave a rainbow”, or — more hyperbolically — as something redolent of the mindset which drove the Final Solution. There are institutional and societal reasons for this schism and I could go on about my own frustration in attempting anything even remotely interdisciplinary in an academic setting, but I’m beyond caring. I’ve now read enough to know that these divisions are unimportant and that the only way to proceed is to march on regardless and pursue research that is interesting, by whatever means possible. Some very intelligent and sensitive people I know (not necessarily academics) have been very encouraging when I’ve explained my ideas and that’s the main thing that gives me any confidence in looking into this further. Still, the best way to concentrate adequately on a topic for a long period is via a PhD and so I’m trying to pursue this unorthodox line of inquiry in a doctorate in English literature. I have found a few interested potential supervisors, but I have some fears that the sub-topic I’ve chosen (looking at the sublime in popular science books) might still be considered too outré by admissions people in the academy. One last thing. My reputation (whatever it is) demands that I make it clear that I haven’t gone all glazed-eyed on you all and become a scientistic ideologue or a nature-worshiping transcendentalist. I say all this with an unblemished record of staunch sceptical empiricism. I don’t just mean I’m a modern materialist who abjures superstition and pseudoscience; I go way further than that. Along with my collaborator on this blog, Dr Mathew McGann, I am sceptical of most alleged “findings” in social science or even the natural sciences when they’re a one-off study, have a less than enormous sample size, or violate any other of the steep requirements of actual knowledge as elaborated by champions of scepticism like Nassim Nicholas Taleb, Richard Feynman, David Hume, or Daniel Kahneman. I go further still and presume that language doesn’t properly grip onto the world, that historical contingencies cloud most of our explanations of phenomena, that our cognitive biases preclude objective knowledge, that the uncertainty principle and problems of measurement make all scientific findings imperfect and that the problem of induction means we can never predict the future or establish causation. I think most metaphysics is invalid and that any form of platonism is absurd. Other than empirical data collected as best we can, validated by others and then worked into a tentative theory, we can’t have knowledge of the world. As far as I can tell (and I’m just a sub-genius primate), mathematical objects don’t exist, counterfactuals are almost meaningless, accurate forecasting impossible and appeals to logic, somewhat pointless. So where does an aesthetic judgement fit into this parsimonious epistemology? Well, it makes no attempt at adding new facts about the world; it merely tries to compare and put into proper perspective or proportion some already pretty well established facts: solid scientific theories and traditional opinions on art and literature. Beyond that it is an appeal to taste and all I can assume is that because we are the same species and evolved in the same environmental conditions to have the same cognitive capacities and proclivities, then some of you may share my taste.